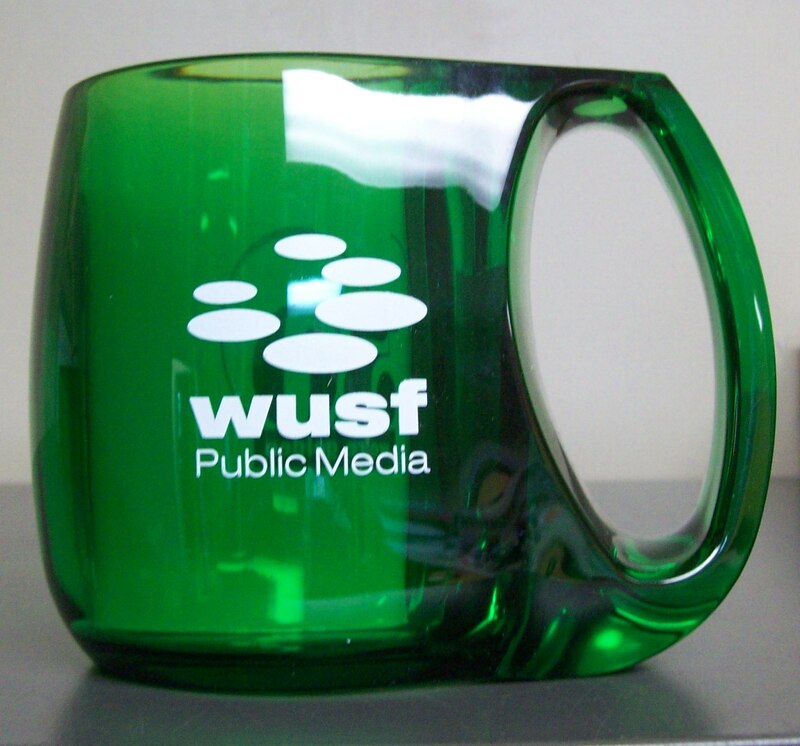 I am a sustaining member with WUSF here in Tampa. That means I contribute a little bit each month, and allow them to automatically charge it to my credit card. My commute to and from work is only about 12 minutes, so during the week, I only listen about 1/2 hour each day. Sometimes I listen on the weekend, depending on what’s on and if I happen to be in the car at the time. I like public radio. I like listening to the BBC broadcasts that let me feel like at least sometimes I get something closer to truth and clarity in regards to U.S. and world news. I like Diane Rehm, who invites people with opposing ideas onto her show so I feel like I get a fuller understanding of current topics. I like All Things Considered, with its interesting range of topics, and Fresh Air, which always has really great interviews. And, specific to WUSF, I like the All-Night Jazz show that starts at 9:00 pm every night. If I’m still driving around at 9:00 pm, I need a little bit of mellow music to drive home by. As a sustaining member, I don’t have to call in during the pledge drives because my contributions will continue until I call them and tell them to stop. If they have drawings as part of the pledge drive, they make a point to say that sustaining members are also included. But the donation premiums are only for the people who call in. 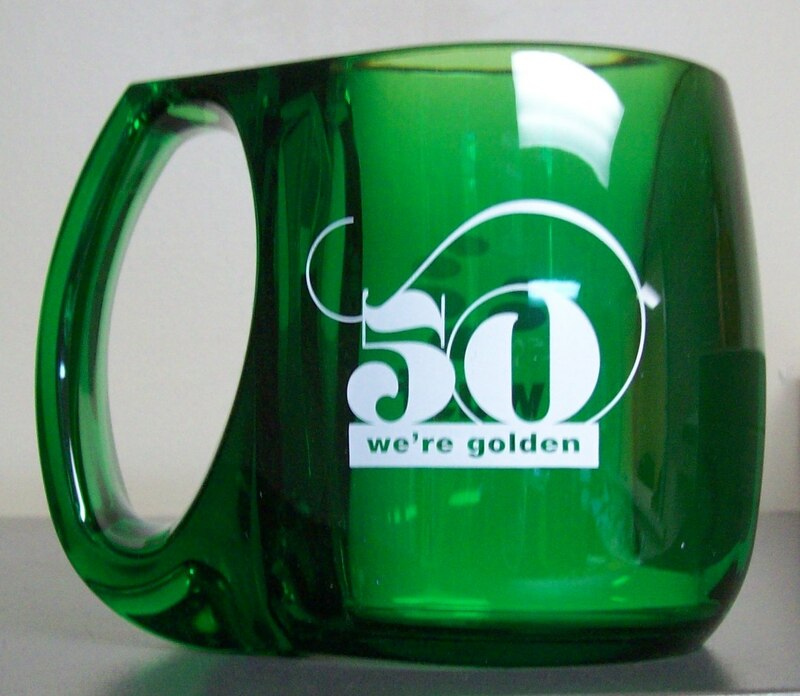 When I heard that this was their 50th anniversary year and they had coffee mugs, I sent an e-mail requesting one. I like coffee and I like coffee mugs and I was very happy when this one finally arrived in the mail. Right now I have it at work, but I’m thinking since it’s heavy plastic, it just might be the perfect coffee cup to keep in the trailer.